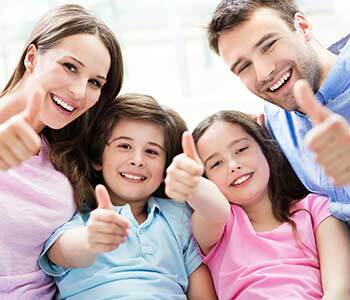 Family Dentist in Philadelphia PA - What Is Family Dentistry? Proper dental care is important for the whole family. Finding a dentist you can trust and with whom you are comfortable is crucial for your family members’ oral health. Dr. David Spilkia is a family dentist in Philadelphia, PA. David Spilkia Family and Cosmetic Dentistry offers quality comprehensive dental care for patients of all ages. As a family dental practice, our team values compassion, respect, and trust as we develop lifelong relationships with our patients. Our goal is to protect our patients’ oral health. Children, teens, adults, and seniors have unique needs. Our team is qualified and experienced in treating patients of all ages with the compassion and respect deserved. With many labels on dental practices, it may be difficult to understand what family dentistry actually is. By definition, family dentistry is a versatile dental field that focuses on diagnosing and treating the dental needs for patients of all ages. Family dentistry is sometimes called general dentistry. Our practice is a family-friendly office that strives to prevent, diagnose, and treat dental issues. We build long-term relationships with our patients as we protect their dental health. Through the development of trust and understanding, we create a comfortable, safe environment for all patients, young and old. We acknowledge that needs change through various stages of life. Our comprehensive services allow us to meet the needs of our patients throughout at each stage of life. Since needs change and are different for each member of the family, it is important to find a family dentist who offers a range of services. Good oral hygiene is as important for young children as it is for adults. Children need to get off on the right food in dental care. Our dental team teaches children and their parents the proper care of baby teeth, from the moment the teeth erupt through each step of development. Children must learn to brush and floss properly. Developing proper habits at an early age establishes the routine long after baby teeth are gone. Dr. Spilkia and his team want your family members to have healthy smiles. Good oral health requires teamwork. Patients are educated on proper oral health to maintain the health of their smiles at home. Our preventative dental care includes routine dental visits. Regular appointments involve cleaning and flossing the teeth to remove plaque that has built up. The teeth and gums are examined to check for problems such as decay or periodontal disease. Dental appointments are scheduled every six months unless otherwise directed by the dentist. With this schedule, bacteria and plaque have less time to accumulate. If problems do arise, they are diagnosed and treated effectively and efficiently. Restorative dental services allow us address and correct problems to maintain our patients’ oral health. From tooth pain and decay to a broken or missing tooth, we have treatment options available. If or when problems arise, our patients are confident and comfortable knowing our experienced team is available to help. Even in emergency situations, our dental team provides services when the unexpected occurs. For patients looking to enhance the appearance of their smiles, cosmetic care is available. Our cosmetic dental services help patients achieve the straight, white smiles they deserve. We offer veneers, teeth whitening, and straightening options to transform the color, size, and appearance of the teeth. No matter what the dental needs or stage of life, we have our patients covered. Maintaining your oral health should not be hectic. Family dentistry offers patients the benefit and convenience of comprehensive dental care. Rather than needing to see multiple dentists or specialists for each family member or for particular services, your family’s needs can be met in one office. Patients have the benefit of seeing the same familiar faces when they enter the office. Contact the team at David Spilkia Family and Cosmetic Dentistry in Philadelphia, PA for an appointment. Call (267) 463-2777.